As public places, most southern public libraries were segregated up until the Civil Rights movement in the 1950s and 60s. Author Wayne Wiegand will trace the struggle for equal access to libraries in the years before the Supreme Court’s Brown v. Board of Education. 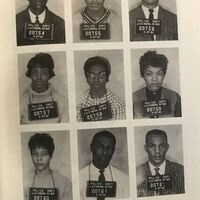 Joining him will be Geraldine Hollis (in the middle of the mug shots above) who experienced the discrimination and fought to desegregate the public libraries in the South. This event is part of Pacific's Black History Month celebration.